Disconnect the engine coolant fan wiring harness. You stand against driving direction. 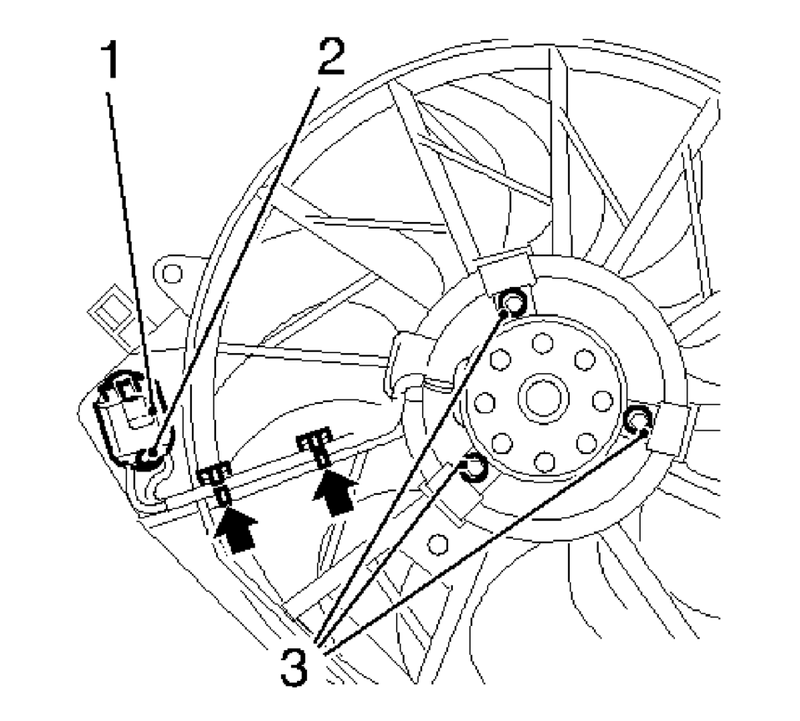 Unclip the engine coolant fan shroud (1) at the shown four mounting points. Remove the engine coolant fan shroud (1). Remove the engine coolant fan resistor (1) by unclipping the retainer clip (2). Unclip the engine coolant fan to engine coolant fan resistor wiring harness (arrows). Remove the 3 engine coolant fan engine bolts (3) from the engine coolant fan. Remove the engine coolant fan. Install the engine coolant fan. Clip in the engine coolant fan to the engine coolant fan resistor wiring harness (arrows). Install the engine coolant fan resistor (1) by clipping the retainer clip (2). Install the engine coolant fan shroud (1). Clip in the engine coolant fan shroud (1) at the shown four mounting points. Connect the engine coolant fan wiring harness. Clip the radiator surge tank outlet hose to the fan shroud. 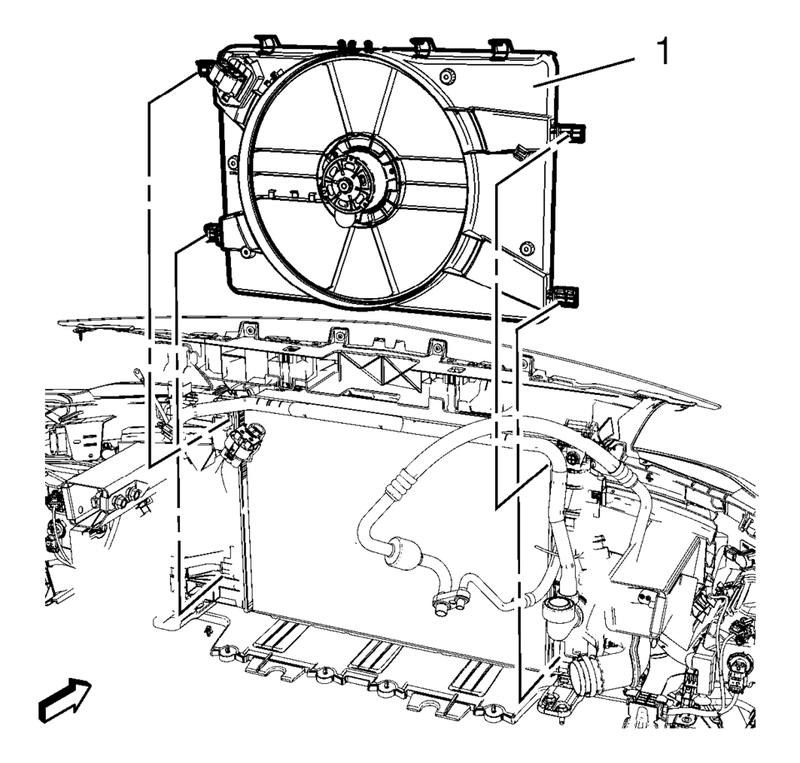 Clip the transmission cooler lines to the fan shroud if equipped.